The Shantung Maple (Acer truncatum) is also known as the Purple Blow Maple due to the color of its newly emerging leaves which are red-purple (see photo below). These young expanding red-purple leaves change to green as they mature. 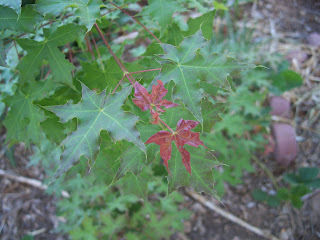 Leaves are small, about the size of Japanese Red Maple leaves, perhaps 3’-4’ wide at maturity. 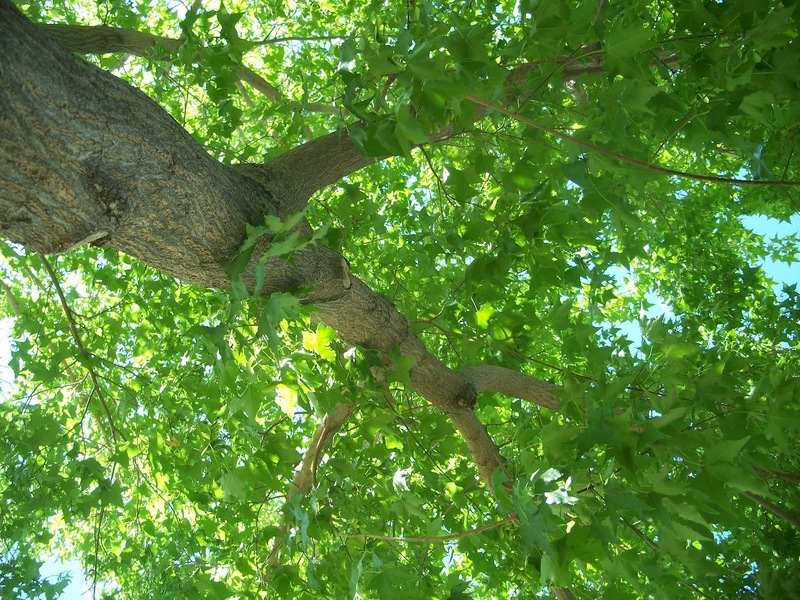 The Shantung Maple grows 1′-2′ annually reaching 25″ tall and wide. This is our tree for all planting situations. This Maple does well in heavy clay, sandy soils, full sun, or part shade. 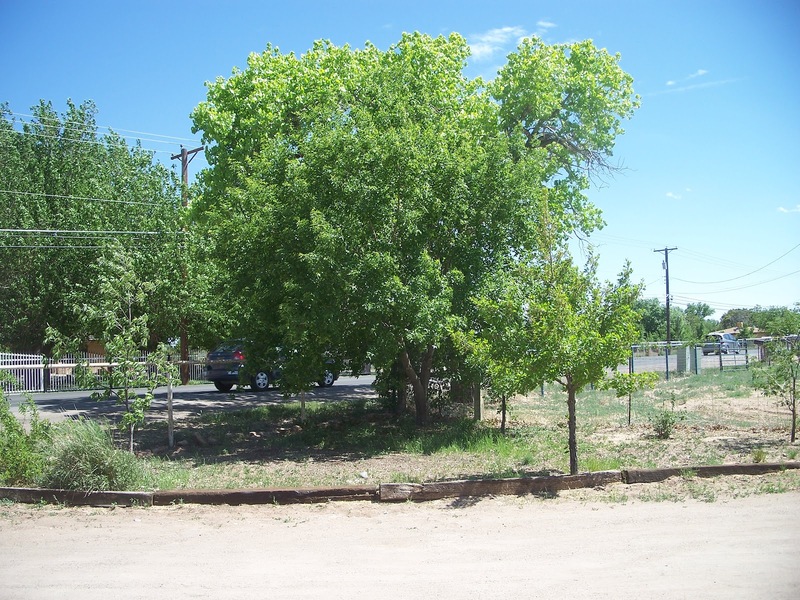 It can be planted in a lawn or next to a hot asphalt street (see photo below). It seemingly is a happy tree enjoying life wherever it is placed. One place we would not recommend planting this tree is in a rockscape which is just too hot and inhospitable to support this beautiful tree. 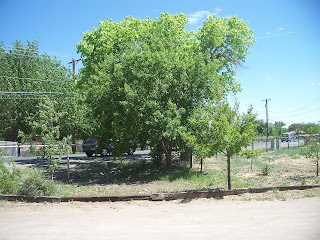 A smaller tree, the Shantung Maple can be planted closer to structures. Its fall color is a brilliant golden yellow. 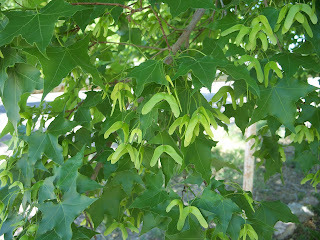 The Shantung Maple produces a winged fruit called a samara (see photo below). Kids call these helicopter seeds because when thrown into the air they fall spinning to the ground like helicopter blades. The Shantung Maple is best grown with low to regular water and is hardy to USDA Zone 4. The Shantung Maple has a rich green canopy that produces a nice dark cooling shade inviting you outdoors to enjoy the fresh air and spend time in your yard (see photo below). The Shantung Maple would make a great addition to your landscape. Come by the nursery to see our selection of Shantung Maples, all grown from seed collected locally from specimen trees.